Xiaomi India Revenue to Cross $2 Billion in 2017;Red Mi A1 Launched! Xiaomi India Revenue to Cross $2 Billion in 2017; Special Red Mi A1 Variant Launched! The Chinese manufacturer has done exceptionally well this year, and their sales are ere expected to exceed the $2 billion. After equalling Samsung to become the most selling smartphone brand in the country, Xiaomi India is all set to double its revenue figures from last year when they had $1 billion in sales. Xiaomi now jointly shares the number one position in the smartphone market with Samsung since last quarter. The Chinese manufacturer has done exceptionally well this year, and their sales are ere expected to exceed the $2 billion revenue mark this calendar year. The company is ruling almost all price segments in the Indian smartphone market with a range of mid-range bestsellers. Xiaomi presently has a 50% market share in the total online sales and around 23.5% in the overall market. The company is confident of maintaining their momentum in the next year as they are growing steadily in the offline space with a series of new Xiaomi products, other than smartphones, lined up for the next one year. At the close of this calendar year they are touching the $2 billion mark, and are expecting to exceed it by the time the financials are out. In doing this, they will double their revenues as compared to the last year. Xiaomi India is keen to carry the leadership position in India for a long run. We had recently reported that Xiaomi India has made a new regulatory filing in India. It wants to diversify into a number of businesses in the country with non-smartphone products like electric vehicles, payment bank, transportation, consumer electronics and lifestyle products. Xiaomi’s products will get an R&D team from India to customise all the products for the Indian market. If needed, products will be completely redesigned to make them suitable for Indian conditions. The company already has a bunch of products like Air Purifier, Backpacks and their recently launched power banks, which are manufactured in India. Xiaomi has promised that they are not going to raise their smartphone prices after the government last week increased the import duty to 15% from existing 10%. In the wake of this rise, Apple has already increased iPhone prices in India. 95% of all Xiaomi phones sold in India are assembled in India, and not imported from China, except for Mi Mix 2, which is the costliest Xiaomi smartphone in India. It is imported because it involves high-end production process. Xiaomi has said that it will absorb the additional duty and keep the smartphone’s price same. Xiaomi is also planning to expand their smartphone production capacity next year and will soon build a component sourcing base in the country. 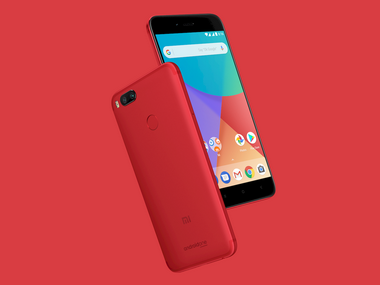 Xiaomi has launched the red model of their bestselling midrange smartphone, the Mi A1. It is the first Android One smartphone from Xiaomi. Very recently the company has cut the price permanently by Rs. 1,000/- and the Mi A1 is now available at Rs. 13,999/- in India. Google now offers free unlimited storage for all the photos and videos at ‘High Quality‘ resolution with all Android One smartphones. The special red-coloured edition of the Mi A1 will be available in limited numbers starting 20 December. It will be available online at Mi.com and Flipkart. It will be also be available offline at Mi Home stores and other Mi preferred outlets. "Xiaomi India Revenue to Cross $2 Billion in 2017; Special Red Mi A1 Variant Launched! ", 5 out of 5 based on 2 ratings. All Aadhaar Deadlines Extended To March 31st; Govt. Says 70 Cr Bank A/cs Linked! Have You Invested In Bitcoins? Be Ready For An Income Tax Notice!